Since Apr 28, 2017, the "Scandinavian Reefer" was being docked at the Damen Shiprepair Yard in Rotterdam after having suffered a mechanical breakdown 45 miles from Flushing loaden with refrigerated products. 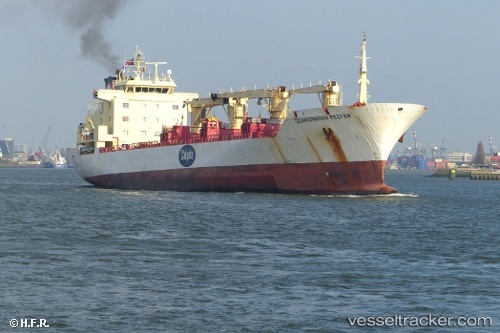 Tsavliris was contracted to assist and dispatched the tug "Dutch Power" from Rotterdam to the vessel’s assistance. A towing connection was quickly made and the convoy headed for Rotterdam where the tow arrived on March 23 and was handed over to port tugs for final delivery to the Opticool Fruitport at Lekhaven.